Traveling the South Pacific can be done on a budget. I couchsurfed two nights on Tahiti, and paid $20/night for three more nights on the nearby island of Moorea. But food was expensive — dining in restaurants was more than I could bear, and a 6-pack of domestic beer cost $15 so I didn't do much drinking either. 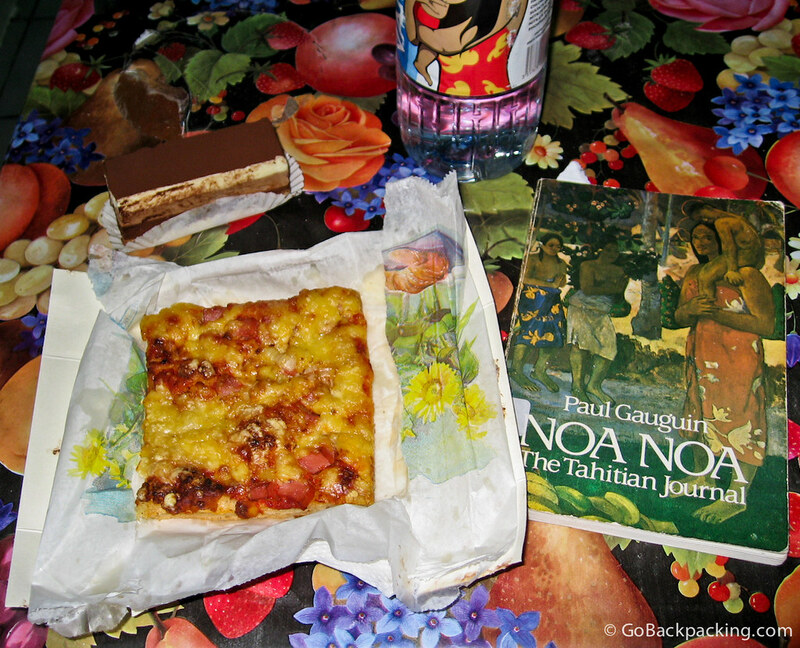 Instead, I focused on the backpacker's go-to diet: greasy pizza and bottled water (OK, and a French pastry for dessert too). God I’m dying to get back to French Polynesia! That’s awesome you did it on a budget!! !